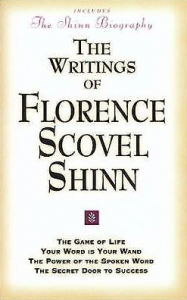 Join us as we continue the journey into the Writings of Florence Scovel Shinn. Her stories, positive affirmations and clear intentions will move you from where you are to where you want to be. If you are serious about taking charge of your life, this class is for you! Prayer is telephoning to God and intuition is God telephoning to you. or email us at office@somspiritualcenterla.org. • The joy and freedom in allowing your dreams to be a reality. Richest blessings to you and I look forward to seeing you in class! ON-LINE REGISTRATION FOR THIS CLASS WILL OPEN SOON. PLEASE CHECK BACK.